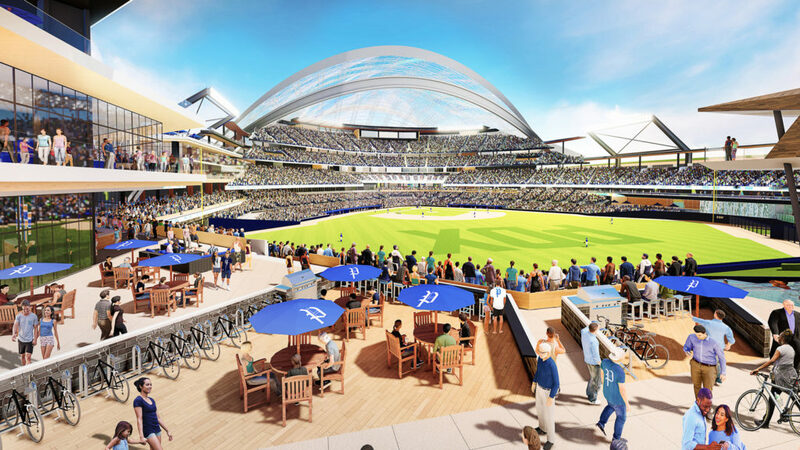 In a bid to bring Major League Baseball to the city of Portland in Oregon, the development team behind building a new stadium has announced it has an agreement in principle to build a state-of-the-art ballpark on a 45-acre waterfront plot. 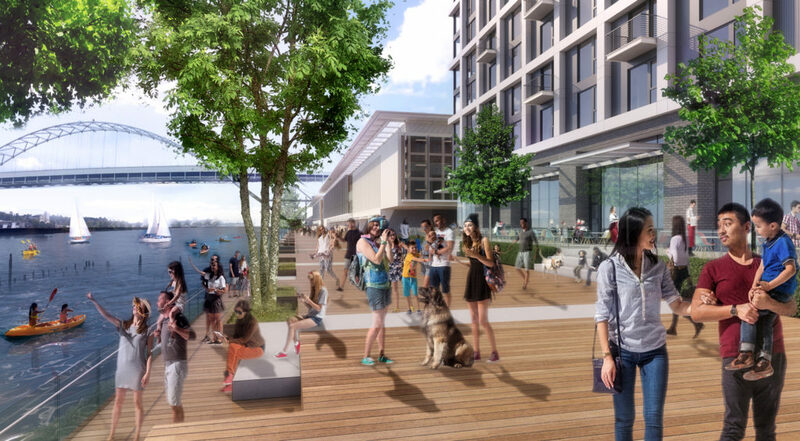 Located north of downtown on the Willamette River, the Portland Diamond Project (PDP) team has a tentative deal with the Port of Portland to develop on its Terminal 2 property. 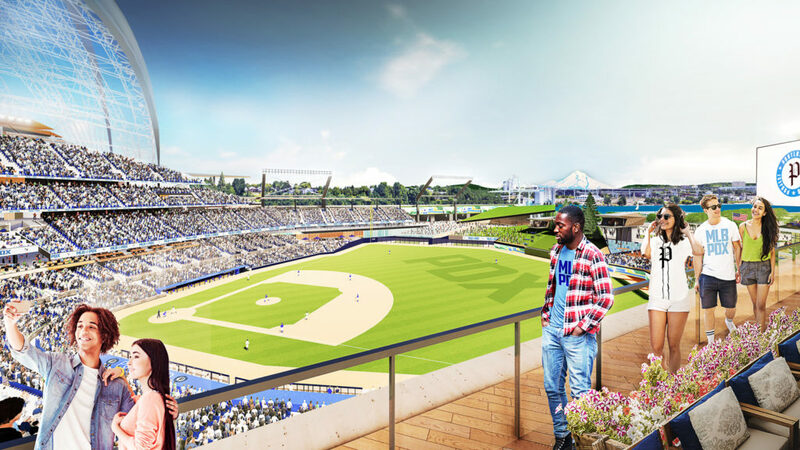 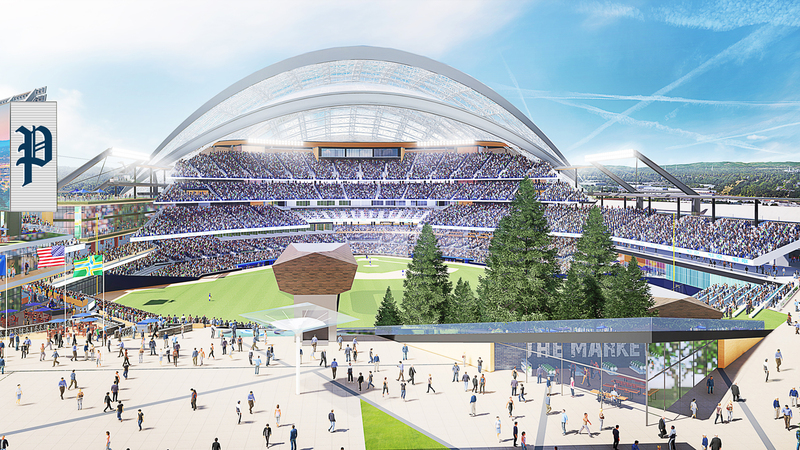 Revealed in a series of tweets, the team showed the renderings of the impressive facility, which it hopes will hold sway in the MLB awarding the city an expansion. 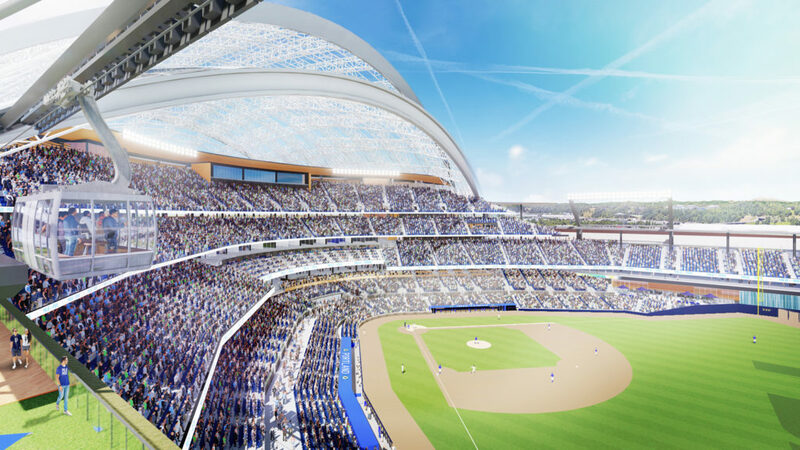 The 32,000-seater stadium features an open-faced design with a large, curved, translucent retractable roof. 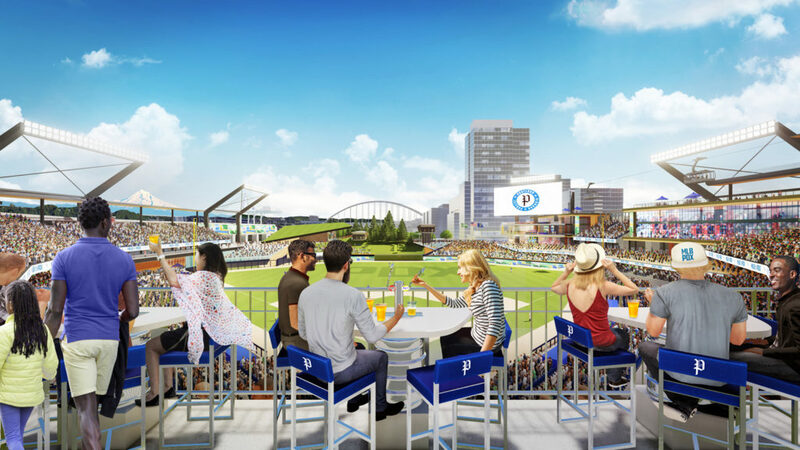 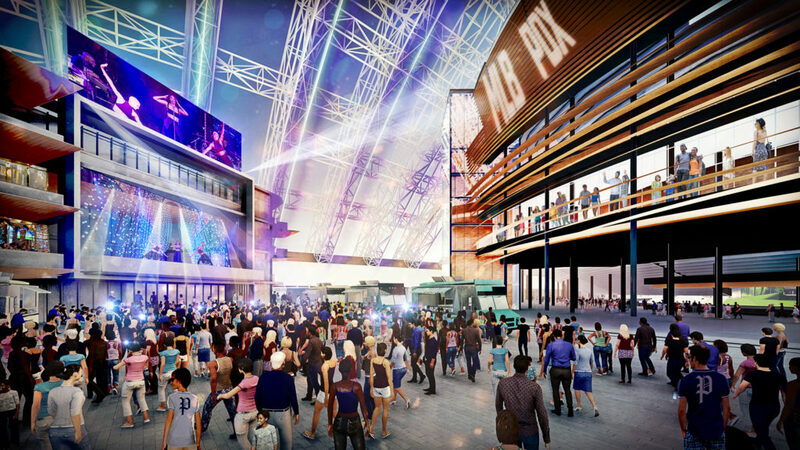 Images depict a number of hospitality areas and food and beverage offerings on decking areas. 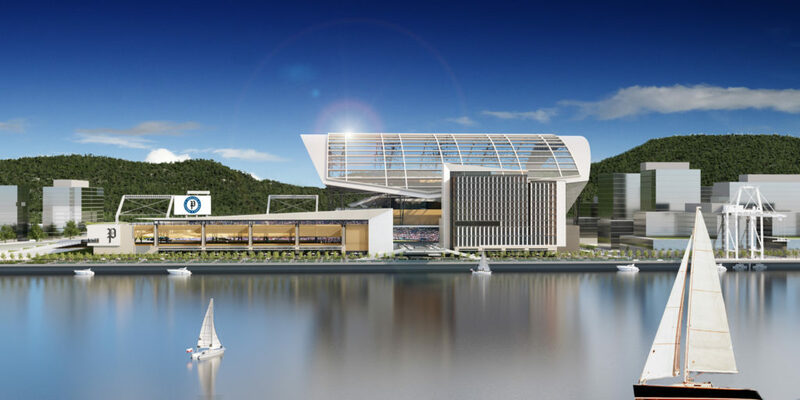 One if its more unique features is the inclusion of gondola seating where fans will have the chance to watch the game from exclusive gondolas suspended from the roof beam to provide some of the best views in the stadium. 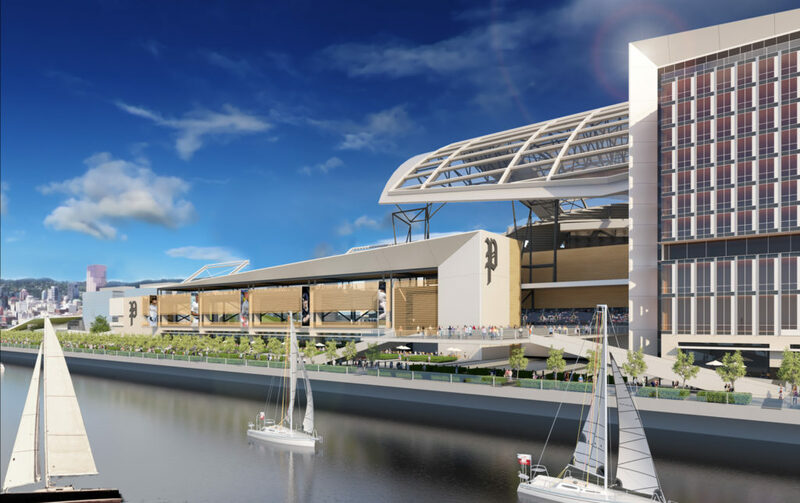 The designs of the stadium are only preliminary and will likely be subject to approval, which is why no timeline for completion was announced or the overall cost of the build made public.